British Archivist Finds World’s Oldest Charles Dickens Film. | The Cineaste's Lament. ← Johnny Deep Gives Filmgoers The Bird In First Lone Ranger Pic. British Archivist Finds World’s Oldest Charles Dickens Film. 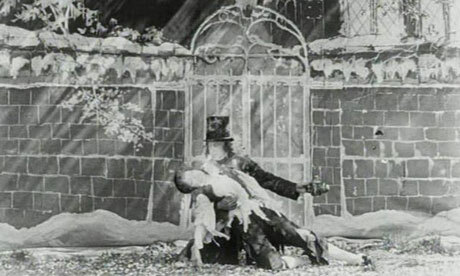 “Bryony Dixon was researching early films of China when she noticed an entry in a catalogue referring to The Death of Poor Joe, which she realised could refer to a character in Dickens’ Bleak House. Not expecting to find a film to match the catalogue entry – most movies this old have not survived – Dixon says she was astonished to discover the film was actually in the BFI’s collection, albeit under a different title. The discovery was announced on Friday, just over a month after the bicentenary of Dickens’ birth was celebrated around the world. This entry was posted in Books On Film, Film News, Hollywood and History and tagged Bleak House, British Film Institute, Charles Dickens. Bookmark the permalink.